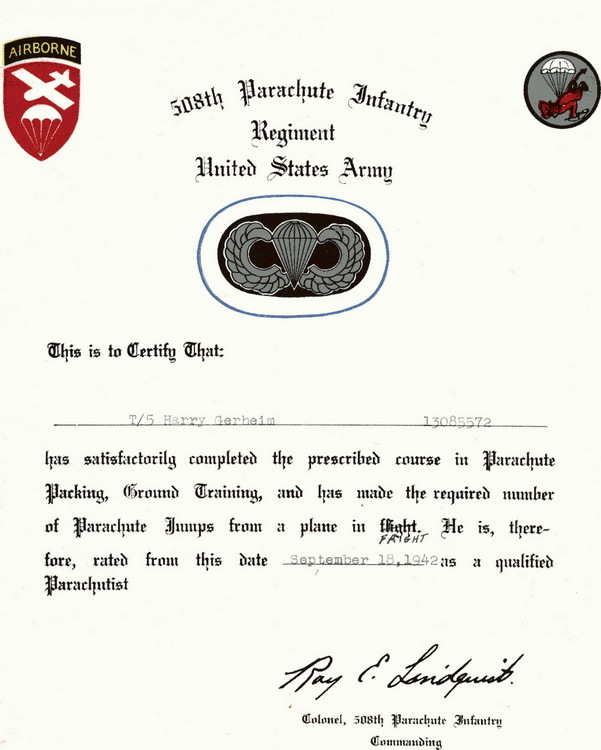 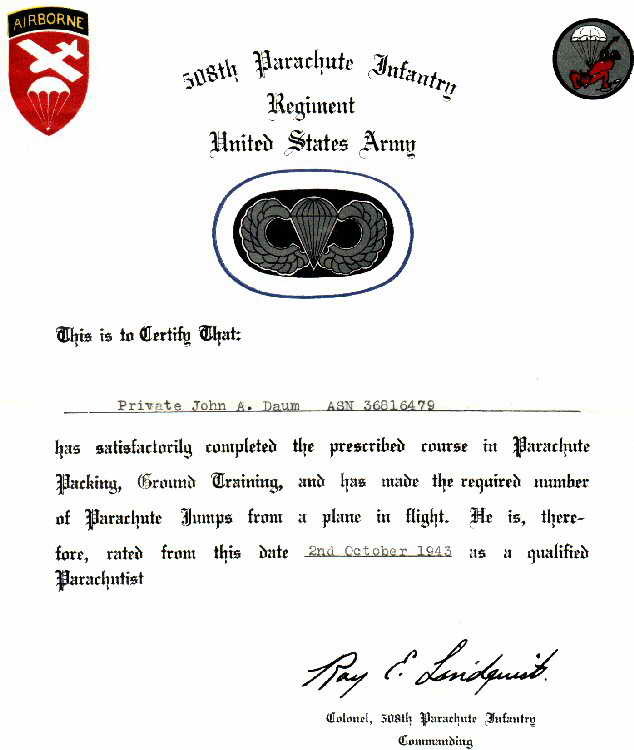 As each man completed his five qualifying jumps "from an aircraft in flight" during parachute training at Fort Benning he received a signed certificate attesting that he was now a qualified parachutist. 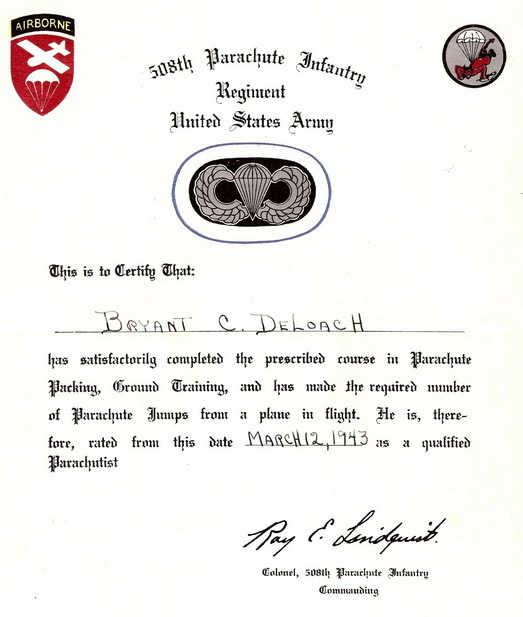 Fort Benning was not the only jump school that men of the 508th attended however and during 1943 when they joined the regiment at Camp Mackall, similar certificates were issued. 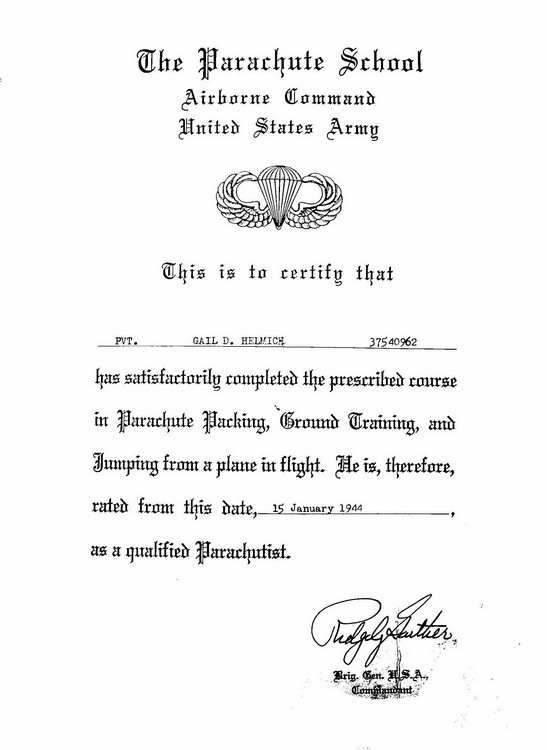 Following deployment to the ETO, the 82d set up another jump school at Cottesmore, England as well. 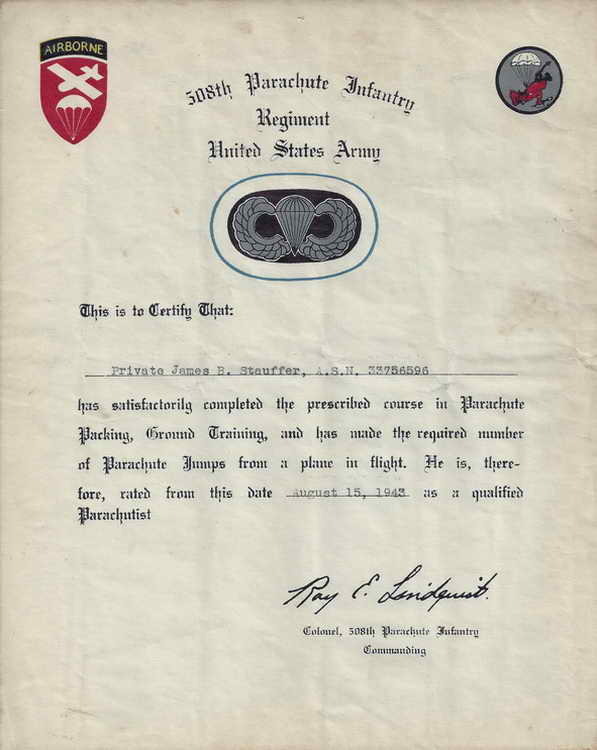 Harry Gerheim seems to have been an honest man. 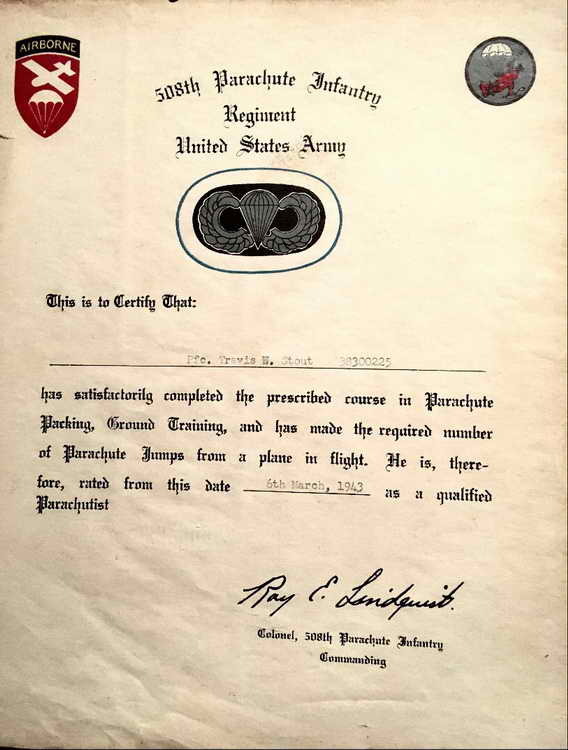 Where his certificate reads "... made the required number of jumps from an aircraft in flight", he crossed out the word "FLIGHT" and wrote instead "FRIGHT".